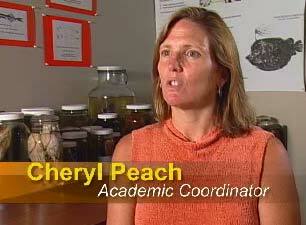 Mission: Funded by the National Science Foundation's (NSF) Biological Infrastructure program (Grant DBI-0446389), the Digital Fish Library (DFL) project explores the morphological diversity of fishes using magnetic resonance imaging (MRI). 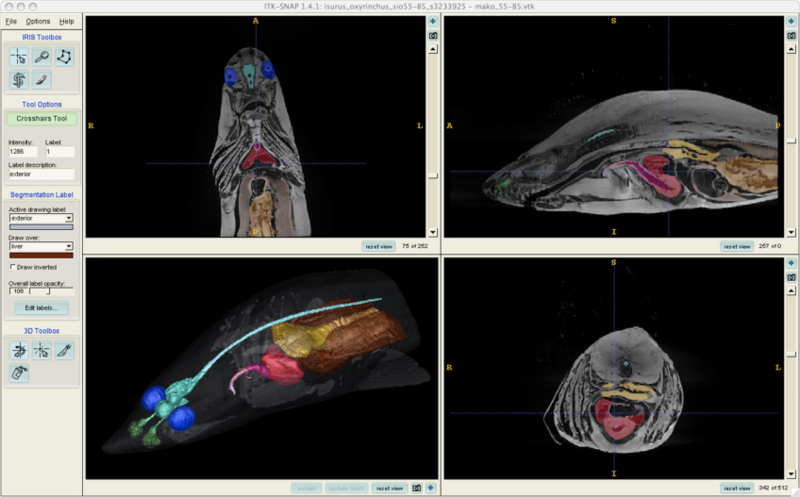 Our mission is to catalog 3D MRI images of fish in an online archive that is accessible to scientists, educators and the general public via the web. Method: The anatomy of fish is typically studied by physical dissection with measurements and observations of tissues and organ structures such as bones, muscles, gas bladders, etc, made directly from the specimen. 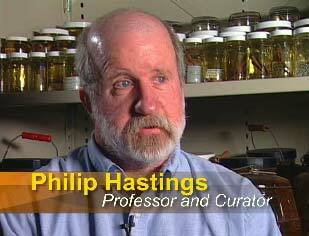 However, this approach most often destroys the integrity of the specimen and limits direct observations to a single researcher. 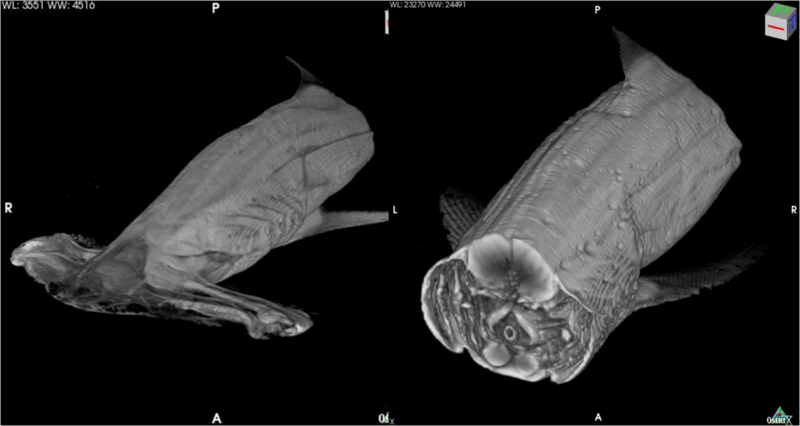 MRI offers an alternative method for collecting detailed 3D anatomical information by using high resolution image data from scanned fishes that can be digitally dissected at any time by many researchers. 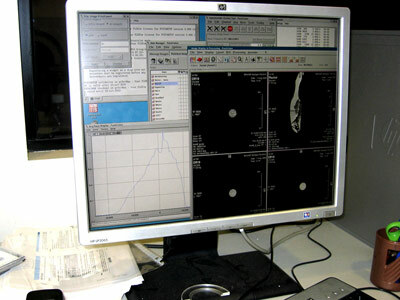 It allows for detailed measurements and observations of almost any fish species, and is non-invasive, reducing the need to dissect rare specimens and holotypes. 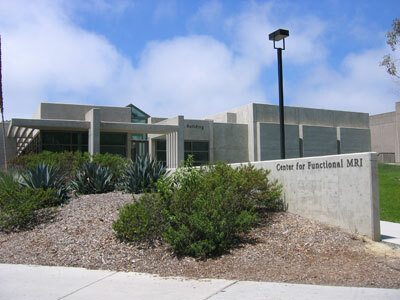 Specimens: The Marine Vertebrates Collection at the Scripps Institution of Oceanography provides the majority of the DFL specimens. The DFL Curator selects and transports specimens for scanning from the Marine Vertebrate Collection at SIO, a collection of more than 2 million specimens from around the world, including over 5,700 deep sea, pelagic, and marine shore species. These are taken to the Center for Functional MRI (CFMRI) on main campus at UCSD where they are processed for MRI scanning. 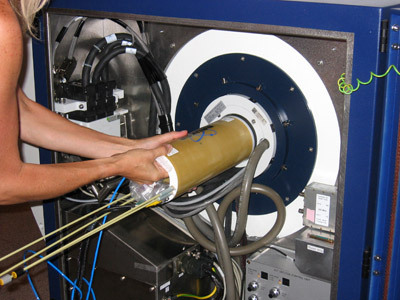 This typically involves rinsing all of the alcohol from specimen tissues - a common storage media used by museum collections to preserve species long term, but a hindrance to MRI quality - followed by use of an MRI image contrast agent. 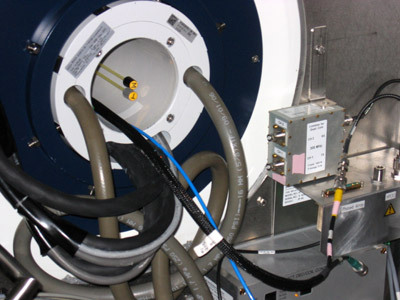 Once they are ready for imaging, specimens are mounted inside a radio frequency (RF) coil which is then placed inside the bore of the MRI scanner. 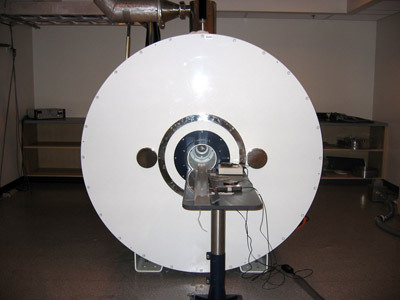 Via the RF coil that houses the specimen, MRI scanners read magnetic resonance signals from the protons in hydrogen atoms which are present in the water of an organism's soft tissue. These atoms have magnetic properties that cause the protons to spin. 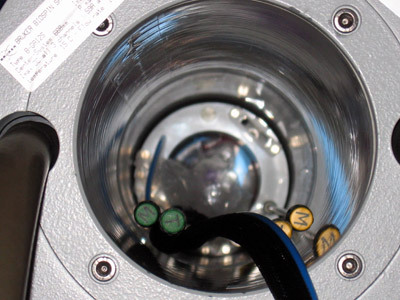 When placed in a MRI scanner, the hydrogen protons spin in line with the direction of the external magnetic field produced by the scanner's magnet. 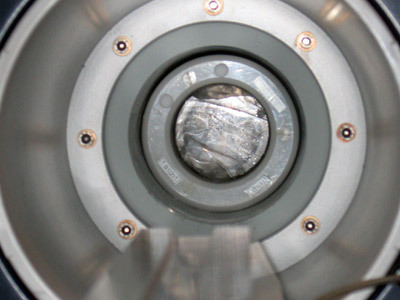 This magnetic movement of the protons can be manipulated, recorded, and translated into a series of high-resolution image slices depicting grey-scale contrasted details of tissue structure. 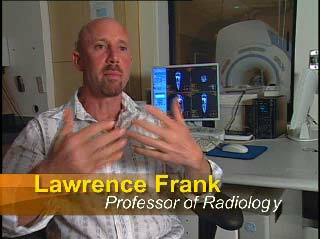 MRI signals differ depending on the type of soft tissue and the shape of the scanned specimen. 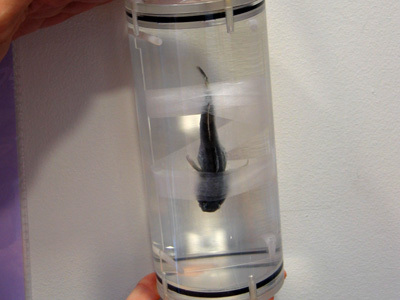 Since fishes are not typically used for MRI study, we have developed customized imaging protocols for a host of different fish species in order to optimize our ability to detect high contrast signals from their soft tissues. 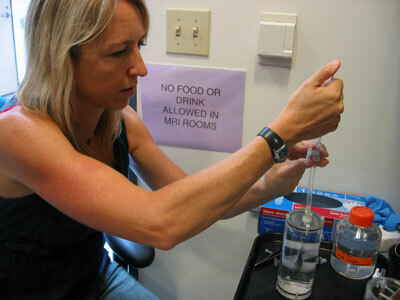 Click on the slideshow below to view the DFL curator scanning a specimen at the Center for Functional MRI, UCSD. To create movies and images of our MRI data and segmentations, we use free, publically-available software packages such as ImageJ (NIH), ITK-SNAP, and Osirix.